New Red Dead Redemption 2 PlayStation 4 bundles will be released alongside the highly anticipated open-world game next month. Both North America and Europe will be getting the Red Dead Redemption 2 PlayStation 4 Pro bundle, which will include a 1TB Jet Black PS4 Pro system, a DualShock 4 wireless controller and Red Dead Redemption 2 on Blu-ray disc. This bundle will be available for $399.99 (MSRP) / $499.99 CAD (MSRP). The price for Europe has yet to be confirmed. 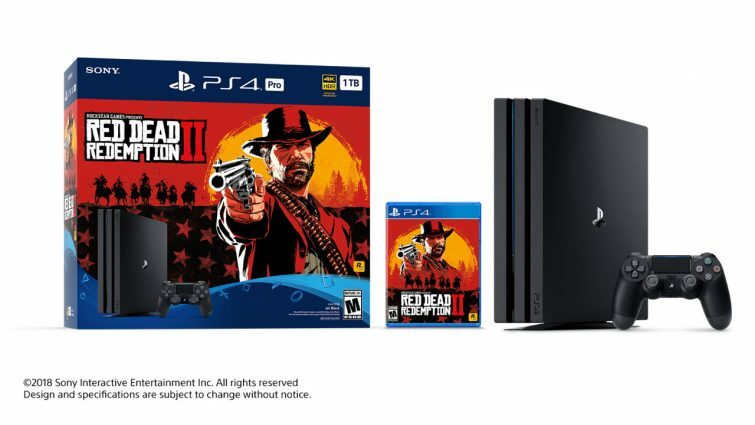 The United Kingdom will also get a PlayStation 4 Slim bundle, which will include a 500GB PlayStation 4 Slim console Includes Dualshock 4 wireless controller and ca opy of Red Dead Redemption 2 on Blu-ray disc. The PlayStation Blog also talked today about the game’s PlayStation 4 Pro enhancements.